First I will tell you how to help your crab and then I will cover how to deal with the potential causes. *Check the crab's previous shell for potential damage; rinse out any sub that may have gotten inside. 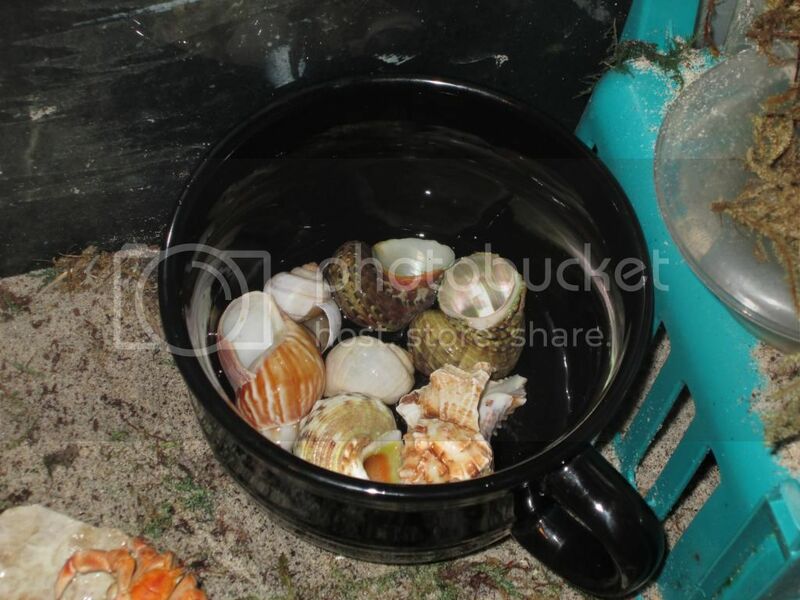 *Place a small amount of treated fresh water in a container with slick sides and add the old shell & some new choices (opening-up helps). *Gently scoop the crab up with a plastic spoon or flat shell. *Place the crab in the container inside the tank. 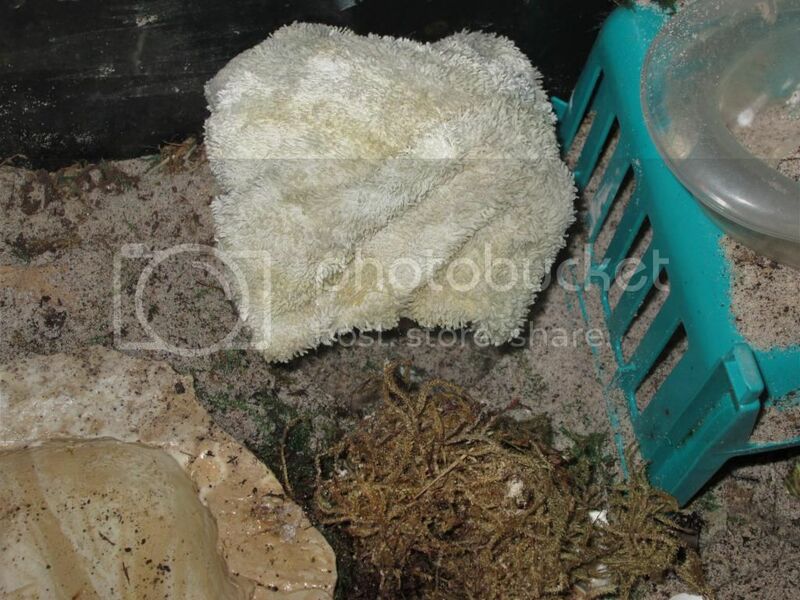 *Cover the container with a lid or cloth to keep it dark and private. *Be patient Don't check on them for several hours. Usually this works unless a crab is too-far gone and/or severely injured. Now; let's figure out some reasons why your crab went naked. Crabs streak for a variety of reasons but it is not a "normal" behavior of a thriving, happy crab. *Crabs streak when they get too hot/dry. -Check that you have accurate readings of conditions in your tank. *Crabs can become naked when their shell is stolen. 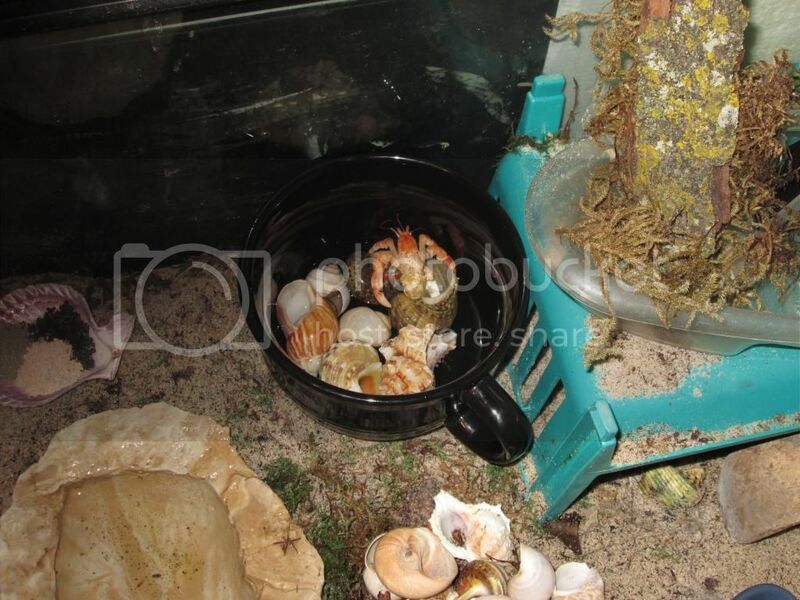 -Make sure you are providing plenty of suitable natural shells (no less than a bare 5 per crab) for all the crabs in your tank. If you suspect or witness a fight, you may have a different issue to address. *Crabs can go naked out of pure stress. -Check the list on the left of common things that can stress crabs to see if any of these could be your issue. *Crabs will streak if they are injured and/or close to death. 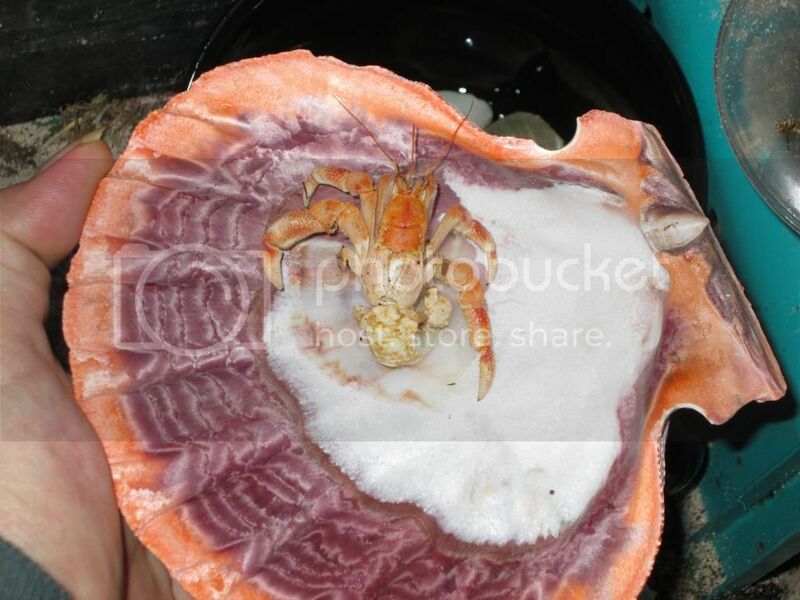 -While your crab is naked, look for any obvious signs like bulges in the abdomen or shriveling. 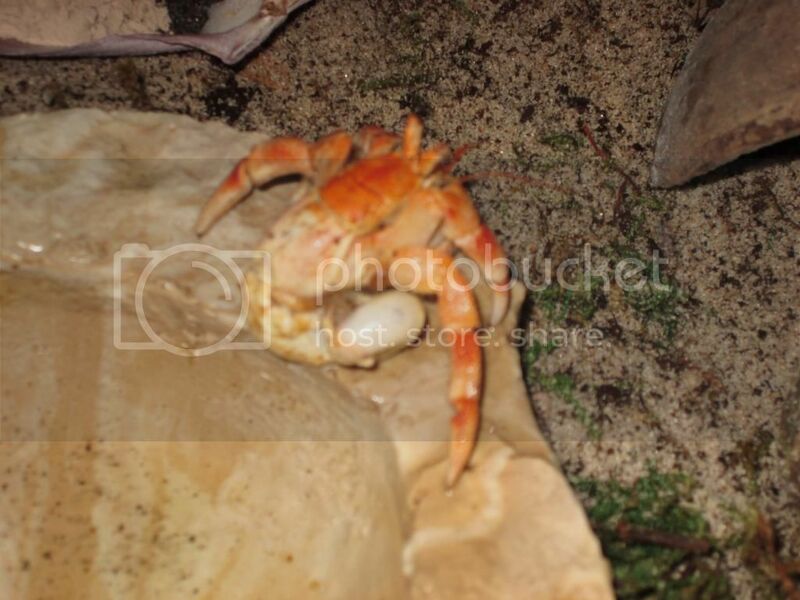 If your crab hasn't taken a shell within a day or so, you can try re-shelling carefully by hand but most crabs who reach this point don't survive. Nearly all of us have or will have a streaker at some point & sometimes it's just for a few minutes & no cause for alarm but when it becomes urgent, this is the common method of treatment.